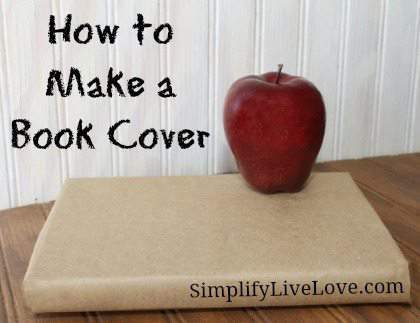 Whether your child is going to be homeschooled, climb on a bus and go to school, or go off to college, making book covers from brown paper bags is a frugal way to protect their text books. 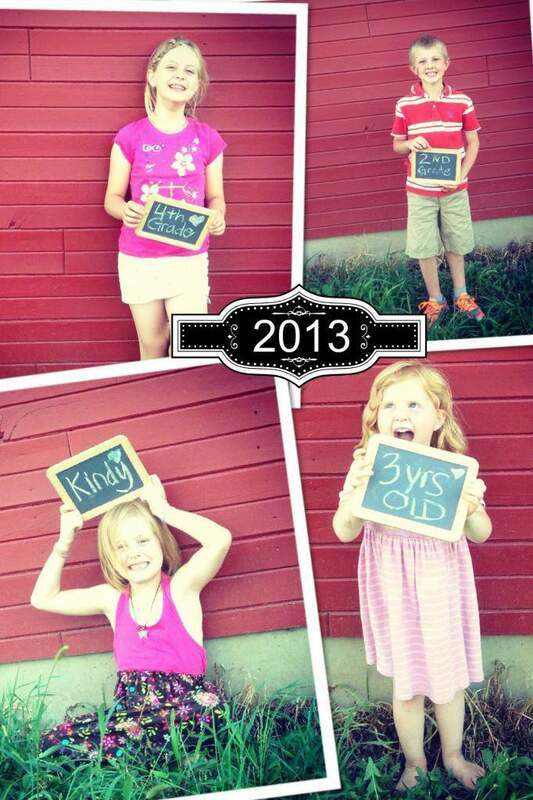 Today we started the process of making new book covers for my youngest child. When I pulled off the old covers, I marveled at what good shape the books were in especially since they are 16 years old and have been used by 4 kids. Making book covers is fast and easy. It also doesn’t have to cost you anything. 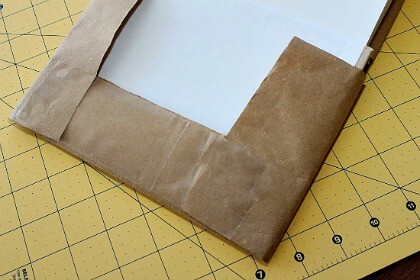 I usually use old brown paper bags, but you can use sturdy wrapping paper, brown wrapping paper, or contact paper if you wish. If you use contact paper, leave the backing on, you don’t want anything to actually stick to the book. 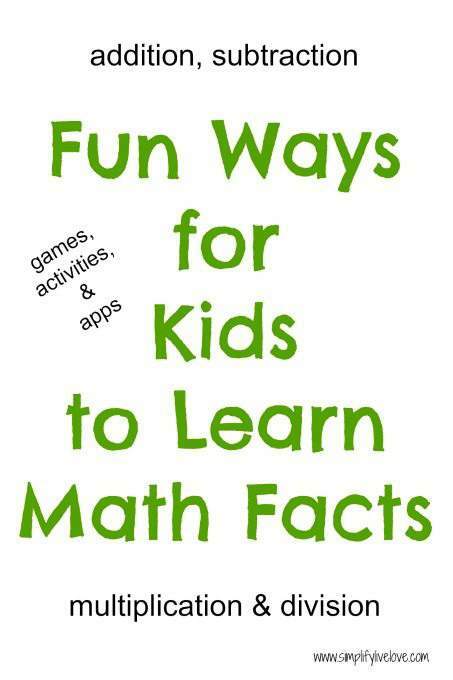 You can eyeball it or you can use a ruler and pencil to create a guide. I just wing it on projects like this; nobody is going to notice if your edges are slightly uneven. 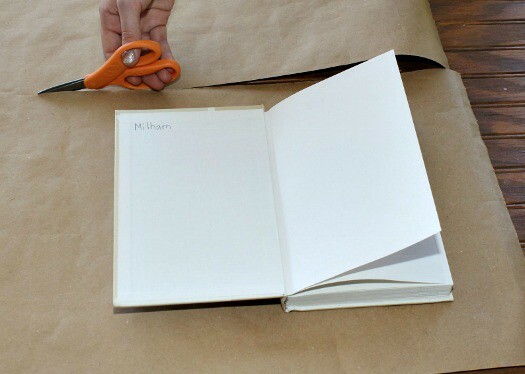 After you have folded the paper over the inside of the covers, close the book. You will notice that it will pull taunt if you didn’t account for the binding. Make adjustments if necessary. Again, I just eyeball it. I am slightly conservative in how much I cut off, because I can always cut a little extra off later if need be. 5. 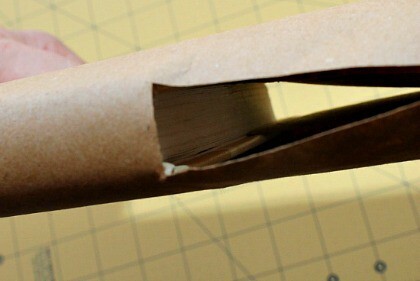 Fold the bottom and top flaps over the inside of the book. Tape the top and bottom flaps to the side flap. Be careful not to tape the cover to the book. 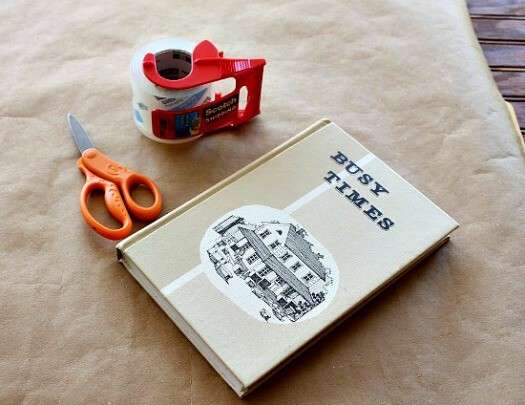 Doing so will mar the inside of the book when you remove the tape and reduce its resale value. 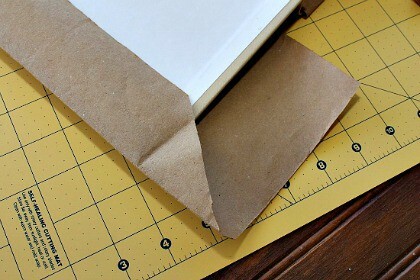 If you use a brown bag that has print on the outside, make sure to flip it over before you fold it around the book. 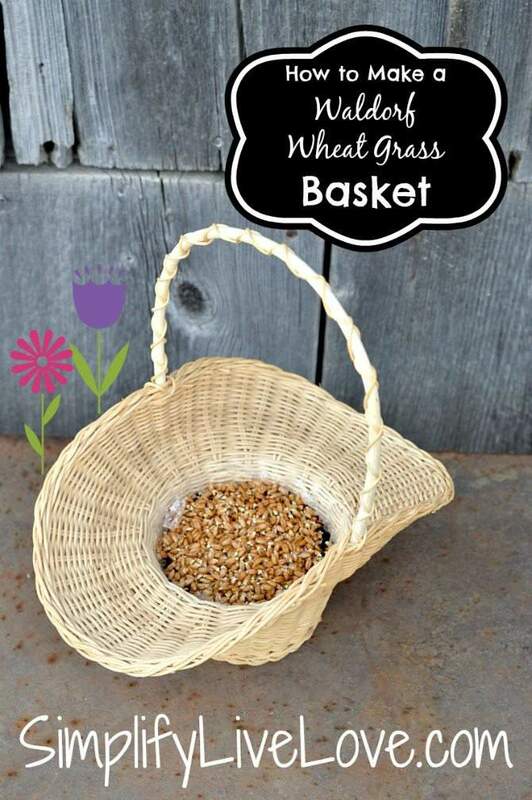 Your children can color on the outside of the book cover with crayons or colored pencils. 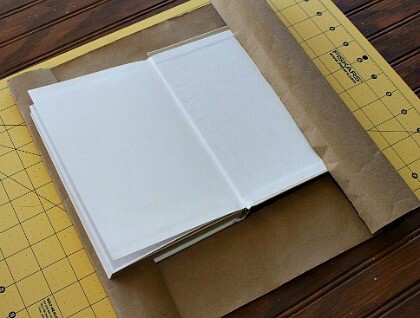 If they want to use markers, paint, or stamp pads, have them decorate the brown paper and let it dry before you use it to create the book cover. Book covers are not just for little kids. My daughter will be using book covers to protect her college text books, so they retain their resale value. She plans on writing “You found my text book and this is crazy, but here’s my number, return it maybe” on the inside flap of her book covers. In the past, I covered cook books for open shelves in my kitchen with smal print wall paper, picking up my kitchen and family rm colors. It looked great and I had many compliments on the idea.